Where is Papahānaumokuākea located? How many islands are there? How far away is the farthest one? What does ʻAnakala Kekuewa mean when he says Papahānaumokuākea is “a place where nature rules”? Why do you think there are no people living on those islands? If someone were to ask how many islands are in Hawaiʻi, how would you answer? What are some differences between the main Hawaiian Islands and the islands of Papahānaumokuākea? Why is Papahānaumokuākea called “kupuna islands”? Garbage dumped into the ocean travels by currents until it reaches the reefs in Papahānaumokuākea. Does this have an effect on the main Hawaiian Islands? Is it okay if reefs are endangered if they are far away from where most people live? If you could sail to Papahānaumokuākea, would you want to visit the closer islands like Nihoa and Mokumanamana, or the ones at the end of the chain? Why? Kui ʻia ka lei moku a Kanaloa. The seas of Kanaloa string the lei of islands together. If someone asks you to name all the Hawaiian Islands, beware. It might be a trick question! 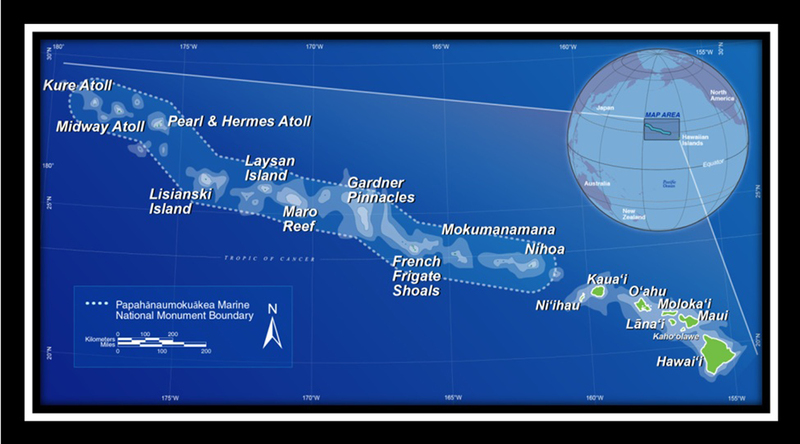 Besides the main eight islands, there are several other islands and atolls, including Nihoa, Mokumanamana, French Frigate Shoals, Gardner Pinnacles, Maro Reef, Laysan Island, Lisianski Island, Pearl and Hermes Atoll, Midway Atoll, and Holaniku. Haven’t heard of them? You will now! These are the lands of Papahānaumokuākea. Papahānaumokuākea is located northwest of the main Hawaiian Islands. This region is sometimes called the Northwestern Hawaiian Islands. Papahānaumokuākea is the oldest area of the Hawaiian archipelago. 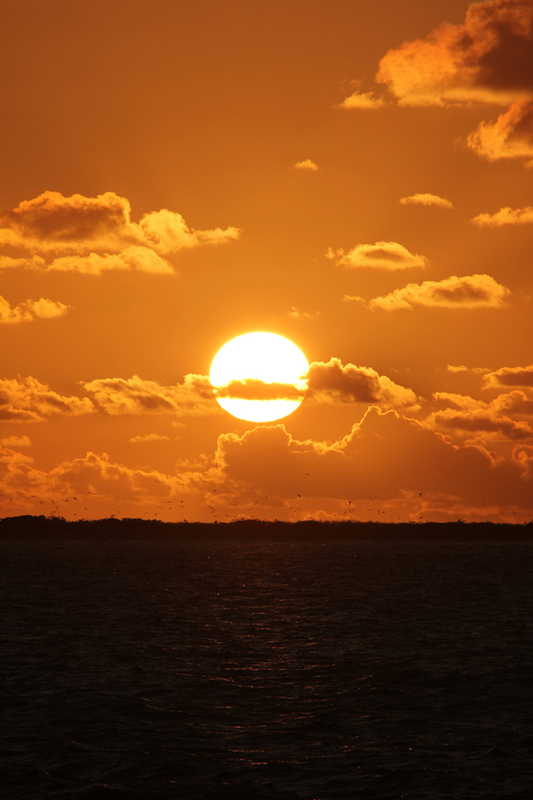 It covers more than 1,200 miles and is made up of small islands and atolls. The total area—land and water—of Papahānaumokuākea (140,000 square miles) is larger than the total area of the eight major Hawaiian Islands. Kū pākū ka pali o Nihoa i ka makani. 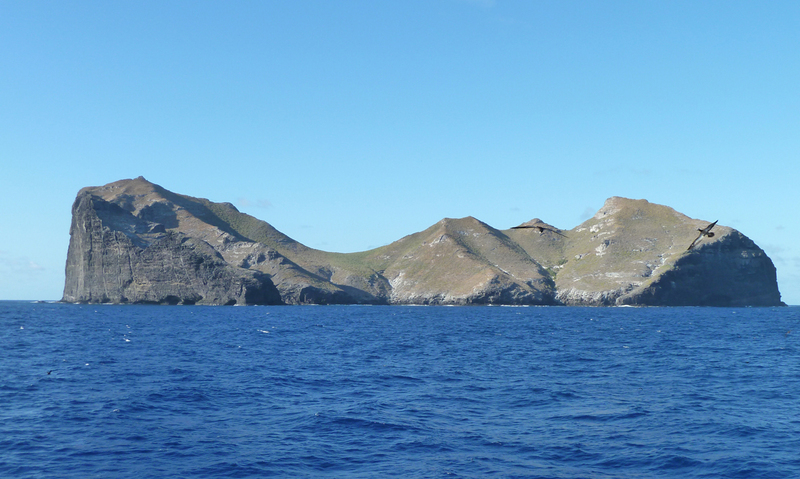 The cliff of Nihoa stands as a resistance against the wind. Papahānaumokuākea is a sacred region for Native Hawaiians. Two of the larger islands in the region are Mokumanamana and Nihoa. Both islands are mentioned in Hawaiian oral traditions. Nihoa is the first Hawaiian island Pele visited in her search for an appropriate home. 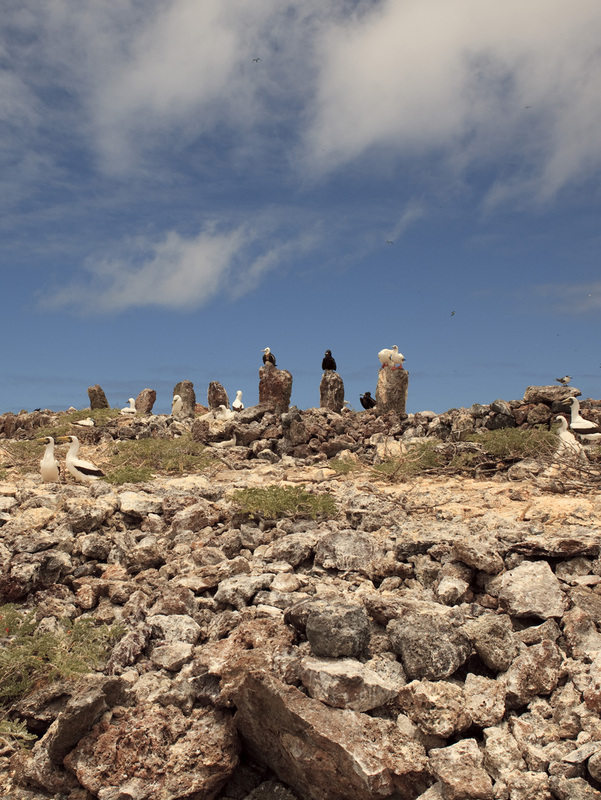 Nihoa has eighty-eight cultural sites. The name Papahānaumokuākea was given by Hawaiian cultural practitioner Pua Kanakaʻole. The name was given recently, but it is based on very old and important Hawaiian names. The name is a combination of Hawaiian akua: Papa and Wākea. Papa is earth mother. Wākea is sky father. The region magnifies the importance of Papa and Wākea as the ancestral gods of the Hawaiian Islands and the Hawaiian people. Papahānaumokuākea is thus known as kupuna islands. Native Hawaiians continue to have a strong relationship with Papahānaumokuākea. Nihoa i ka moku manu. Papahānaumokuākea is home to more than seven thousand marine species. One of the most significant features of this region is the coral reefs, or koʻa. We learn from the Kumulipo that Koʻa is the oldest ancestor of Native Hawaiians named in the Hawaiian creation chant. There are more than 4,500 square miles of wild koʻa in this region. It is also home to two endangered animals: the Hawaiian monk seal and the green sea turtle. In fact, 90 percent of all green sea turtles live at Papahānaumokuākea. It is also home to more than fourteen million sea birds. Papahānaumokuākea is a marine sanctuary. A sanctuary is a place that is safe and protected. What does Papahānaumokuākea need protection from? Humans. Humans overfish. Sometimes our nets trap animals we aren’t trying to catch, like sea turtles. Our boats accidentally hit and injure whales and other marine life. By designating a place a sanctuary, such manmade problems are minimized. However, the islands’ plants, birds, and marine life cannot be completely shielded from human impact. Humans use a lot of plastic. Unfortunately, a lot of plastic garbage finds its way into the ocean. If you walk along the beach on Oʻahu, you’re sure to see plastic ʻōpala washing onto shore. Seabirds mistake the plastic for food or accidentally digest it along with their catch. They bring their food back to their babies and end up feeding them plastic, which is not good for anyone’s diet. Humans also use a lot of oil and electricity. This causes a gas called carbon dioxide to be released into the air. Carbon dioxide is released all day every day, and it’s heating up the earth. Ice caps in the North and South Poles are melting, causing the sea level to rise. Carbon dioxide gets absorbed by the ocean, causing ocean acidification. This results in a change in the ocean’s chemical make-up. This could have a serious impact on marine life. The lobster, shrimp, and fish we love to eat could be at risk, as well as the honu (turtles), naiʻa (dolphins), koholā (whales), and manō (sharks). If the health of the fish we eat is compromised, what about our own health? And what about the creatures outside of Papahānaumokuākea? Perhaps Earth itself should be designated as a sanctuary. 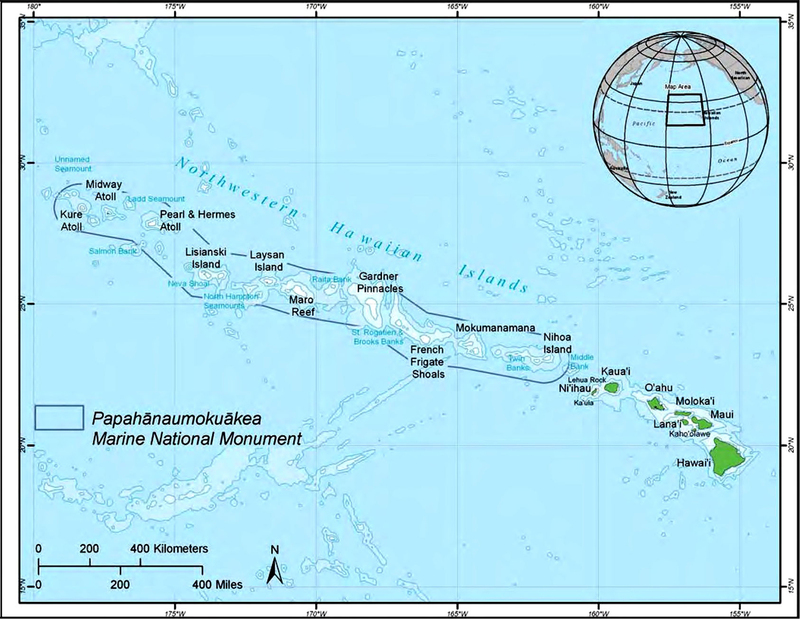 In 2006, this special region was named Papahānaumokuākea Marine National Monument. This allowed for more protection and conservation of the area. It also gave greater protection for Native Hawaiian cultural access. Today, Native Hawaiians are the only people who have fishing and gathering rights at Papahānaumokuākea. In 2010, the Papahānaumokuākea Marine National Monument was named a World Heritage Site. This special designation recognizes the natural and cultural significance of the region and gives it additional protection and international status. Now Papahānaumokuākea is a wahi pana of the world! The monument is managed by the National Oceanic and Atmospheric Administration (NOAA), the US Fish and Wildlife Service, and the Hawaiʻi Department of Land and Natural Resources.